Coco the former circus lion was microchipped by ADI in preparation for his trip to his African forever home. Photo by Animal Defenders International. In December, twenty-four African lions rescued from circuses in Peru and nine lions from a Colombian circus will board the biggest airlift of its kind, heading to a forever home in Africa. Rescued by Animal Defenders International (ADI), these former circus lions will live at Emoya Big Cat Sanctuary in Limpopo province, South Africa. To prepare for the journey, all the lions were microchipped at ADI’s rescue center near Lima, Peru. Two of the lions were given dental surgery. An ADI vet performs dental surgery. Photo by Animal Defenders International. If you would like to help ADI fund Operation Spirit of Freedom, visit their website. Learn more African lion facts at our lion article. The Toronto Zoo is pleased to announce that Makali, a four-year-old white lioness, gave birth to four cubs on September 26-27. The little lion cubs are healthy, feeding well, and staying in the maternity area of the lion habitat at the zoo. The first thirty days will be critical for the cubs and zoo staff will continue to monitor them closely. Learn more about lions at our lion facts article. Millions of animals around the world are held in captivity in conditions that are not ideal. One such pair of animals have their story told in The True Story of Bella & Simba: Lion Rescue by Sara Starbuck. The title lioness and lion live in two completely different worlds but are united in the fact that they both need to escape to better lives. Bella was blind, sickly, and brokenhearted at the loss of her family in the Romanian zoo in which she lived. Simba lived in a cramped backyard in France, after living his early years traveling in a circus trailer. 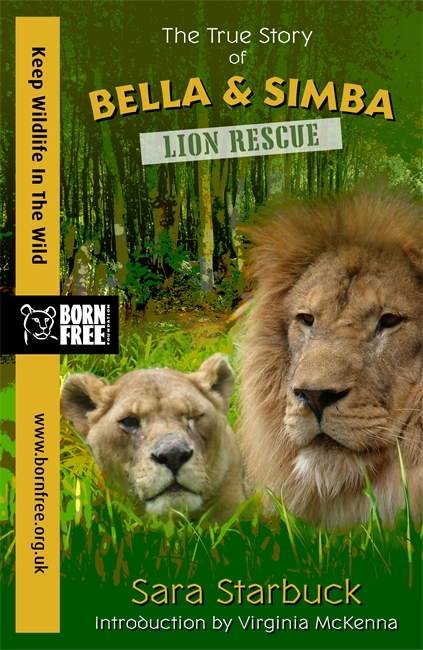 The True Story of Bella & Simba: Lion Rescue recalls the tale of the rescue and rehabilitation of these two majestic animals with the help of the Born Free Foundation. In the book, Starbuck weaves the stories of Bella and Simba in alternating chapters to keep the reader captivated. Each chapter focuses on a part of the lions’ rescue and is written in a friendly, easy-to-read way. The text is accompanied by vivid, full-color photographs of the animals and rescue volunteers. Interspersed throughout the book are fascinating facts about lions — everything from how their claws grow to why they have a tassel on their tail. In this way, readers learn not only about the plight of Bella and Simba but about lions in general. The True Story of Bella & Simba: Lion Rescue is a great read for anyone who loves animals, rescue stories, and happy endings. 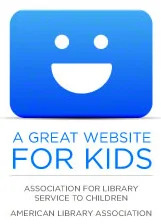 It is fit for young readers both in content and in ease of reading. The True Story of Bella & Simba: Lion Rescue is published by Hachette Children’s Books. 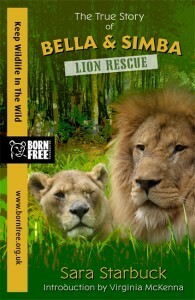 It is part of a series of non-fiction books featuring the rescue operations of the Born Free charity. Learn more at Hachette Children’s Books. Cuteness x 3! 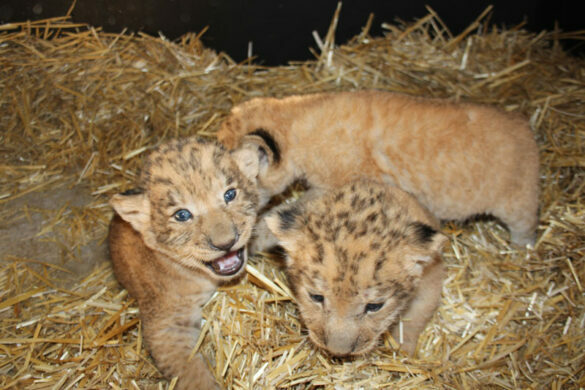 A trio of lion cubs were born at the Taronga Western Plains Zoo on February 28. 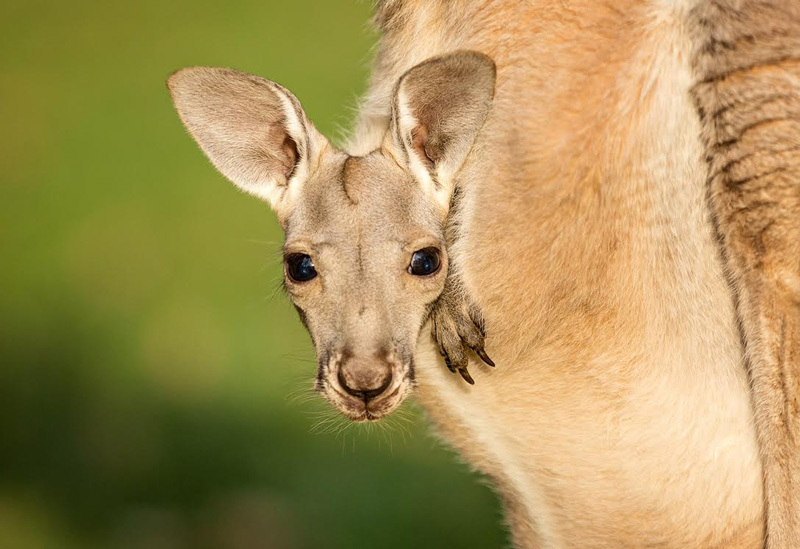 Photo by Roger Brogan / Taronga Western Plains Zoo. Taronga Western Plains Zoo in Dubbo, Australia welcomed a trio of lion cubs on February 28. “This is the first time we have bred lion cubs here in Dubbo, so you can imagine how excited we are with these three new additions,” said Zoo Keeper Roger Brogan. The keepers have been monitoring the new mother, Maya, and her babies via a video camera link in their den. 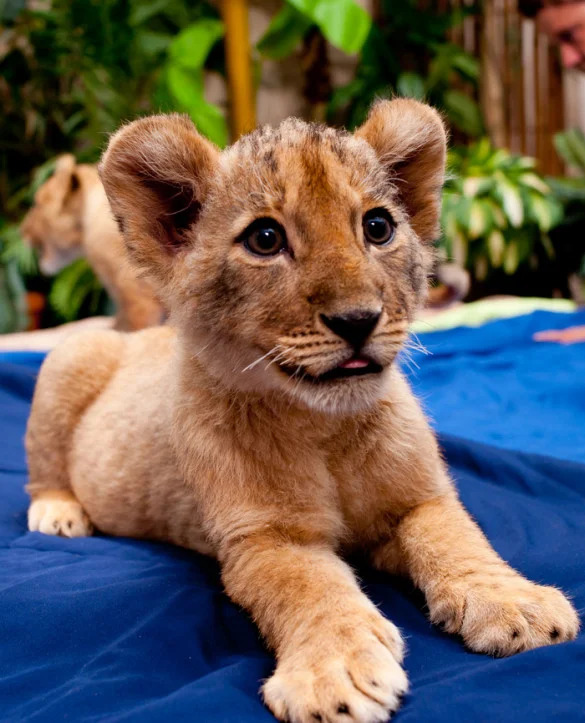 The lion cubs will stay behind the scenes for the next 6-8 weeks before going on exhibit for visitors to see. To learn more about the cubs, visit the Taronga Western Plains Zoo website. See our lion facts page to learn more about lions. 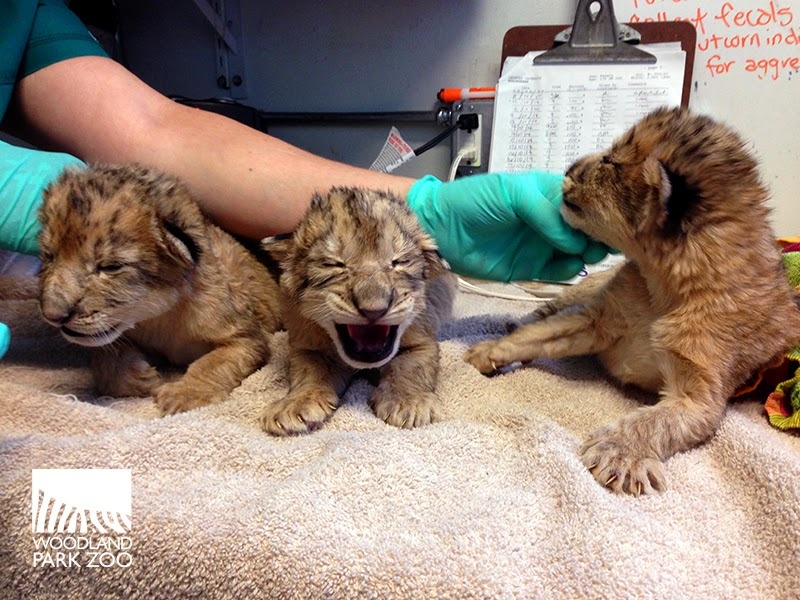 Three male lion cubs were born at Woodland Park Zoo. Photo by Photo by Dr. Darin Collins / Woodland Park Zoo. Woodland Park Zoo in Seattle, WA welcomed three male African lion cubs on October 24. Mother Adia and cubs are bonding and nursing well in an off-view maternity den. Zoo staff will monitor the newborn lions over the next several weeks to ensure their healthy development. In the wild, African lions inhabit the grasslands, shrub, and open woodlands of sub-Saharan Africa. They are considered vulnerable of extinction by the IUCN Red List. They are threatened by loss/fragmentation of habitat as well as disease. They are also killed by humans in bravery rituals, as hunting trophies, for medicinal powers, or by ranchers protecting their livestock. To learn more about lions, see our lion facts article. 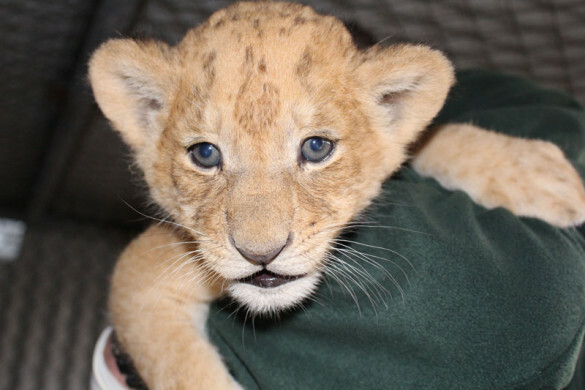 Learn more about the lion cubs at Woodland Park Zoo at their blog. Most Eager Eyes: Pictured below is one of two female lion cubs who were born at Busch Gardens on March 20. 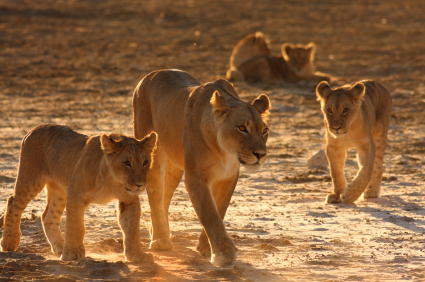 The cubs have genetic lines from the Kalahari and Kruger regions of South Africa, where lions are recognized for their large size and impressive manes on the males. 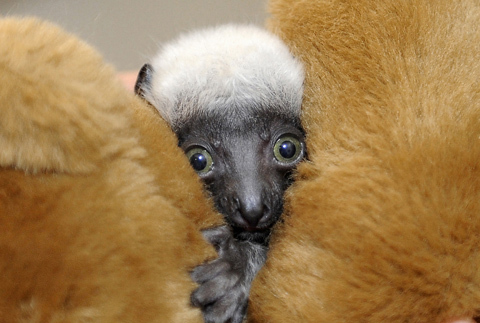 Best Peek-a-Boo: Max, a little Coquerel’s sifaka (pronounced CAH-ker-rells she-FAHK — it’s a species of lemur), was born at the Maryland Zoo in Baltimore on March 30. In the wild, Coquerel’s sifaka live solely on the island of Madagascar, which is off the southeastern coast of Africa. Baby sifaka at the Maryland Zoo in Baltimore. Photo by Jeffrey F. Bill. 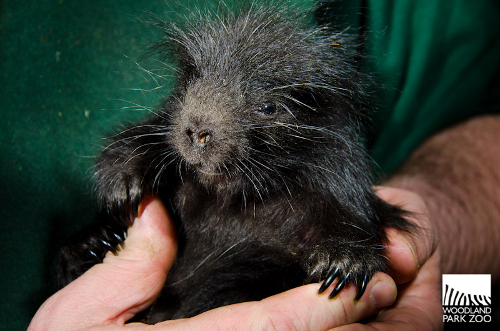 Most Spiky: The Woodland Park Zoo welcomed a North American porcupette (baby porcupine) on April 18. Porcupettes are born with soft quills that harden a few hours after birth, providing quick protection against predators. The new porcupette at one day old at the Woodland Park Zoo. Photo by Ryan Hawk / Woodland Park Zoo. 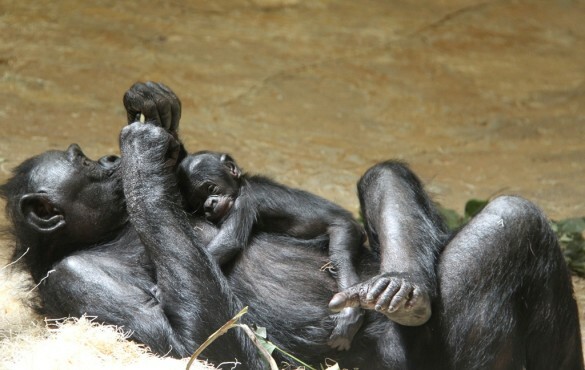 Best Hugger: This baby bonobo was born on May 12 at the Memphis Zoo. In the wild, bonobos inhabit the rainforests of the Democratic Republic of Congo in Africa. Currently, the IUCN has categorized bonobos as endangered. 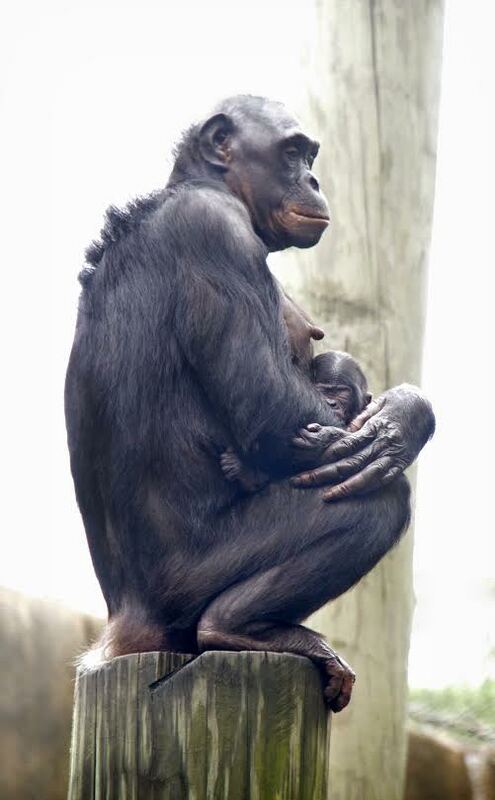 Bonobo baby with mom Kiri. Photo credit: Laura Horn, Memphis Zoo. Sleepiest Piggy-Backer: It’s a tie between this baby anteater and this baby spider monkey, both of whom were born in June at Busch Gardens! 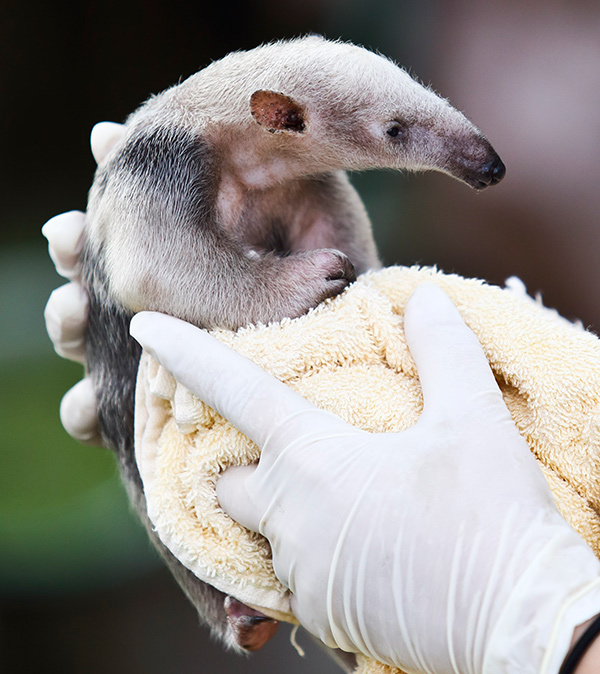 Weighing less than 5 pounds, this baby anteater will eventually grow to be over 100 pounds. 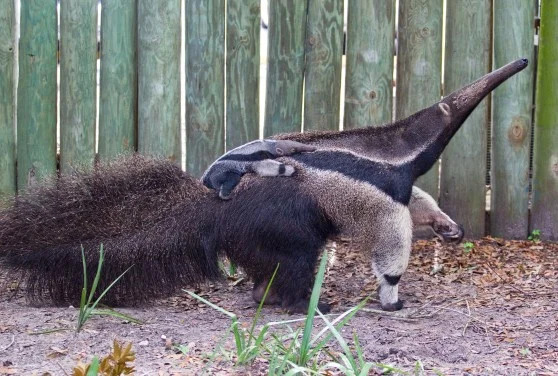 The little anteater will ride on his mother’s back for about a year. 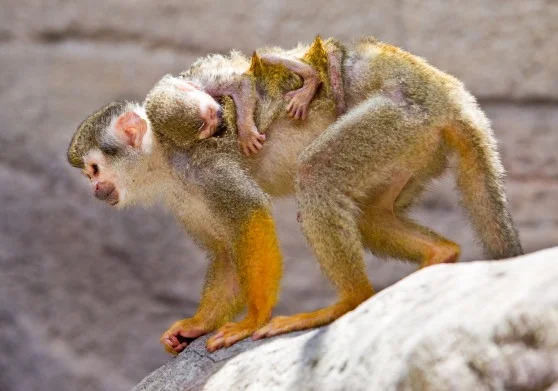 This baby spider monkey got comfy sleeping on his mother’s back. 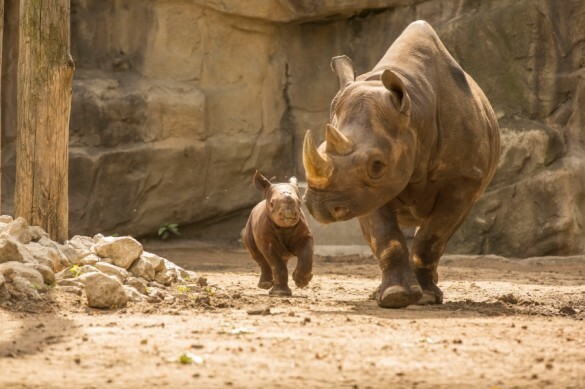 Rare Birth: King is an Eastern black rhinoceros born at the Lincoln Park Zoo on August 26. 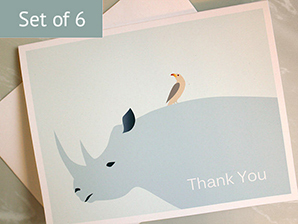 In the wild, Eastern black rhinos are critically endangered due to poaching. It is estimated that there are only 5000 left in the wild in Africa. After a few timid steps, King gained confidence in the outdoor exhibit, taking in all the new sights and scents. 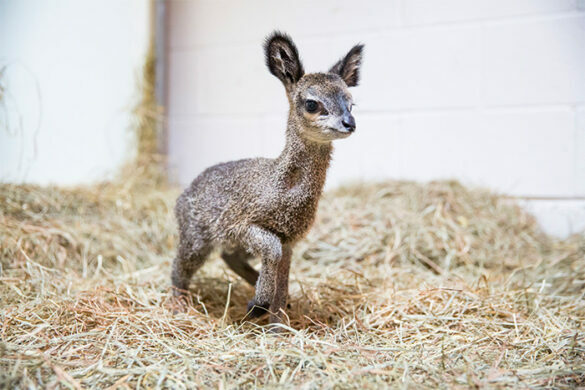 Photo by Todd Rosenberg/Lincoln Park Zoo. 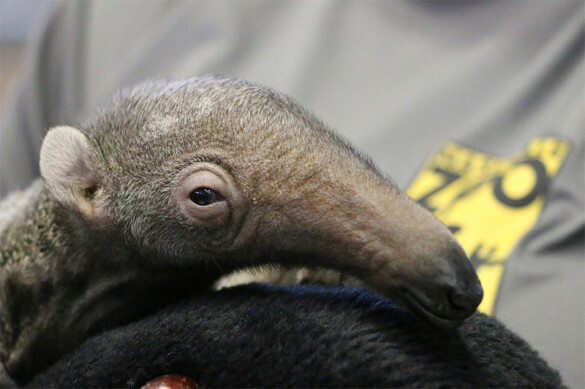 Cutest Snout: Meet Gabana, a baby giant anteater born at the Nashville Zoo on November 16. In the wild, giant anteaters inhabit the tropical forests of Central and South America. They are considered vulnerable of extinction by the IUCN. Baby giant anteater at Nashville Zoo. Photo by Heather Robertson / Nashville Zoo. 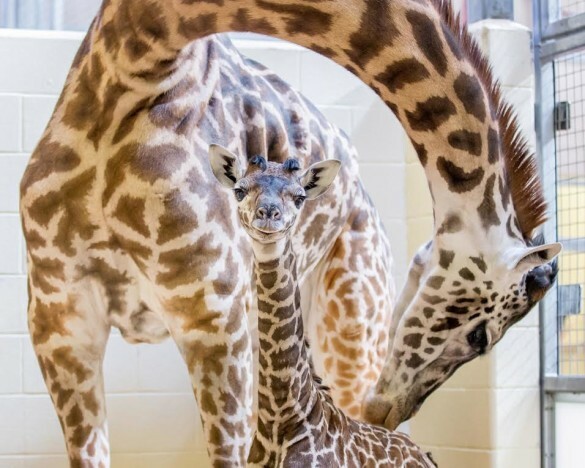 Tallest Baby: In the early morning hours of December 13, a female Masai giraffe was born at Nashville Zoo! 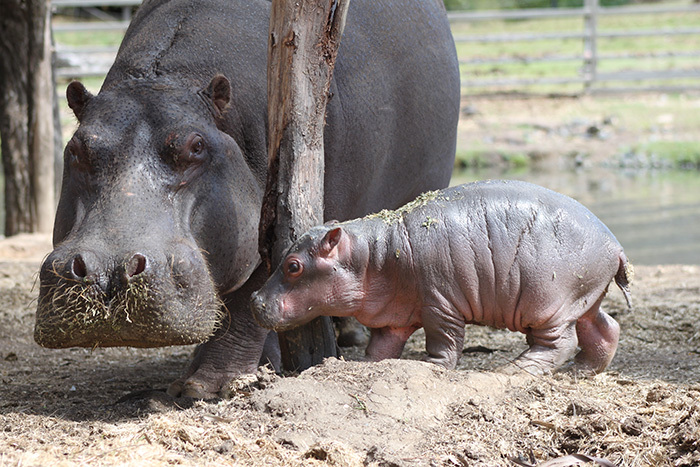 At birth, the calf was already 6 feet 5 inches tall and weighed 180 lbs. 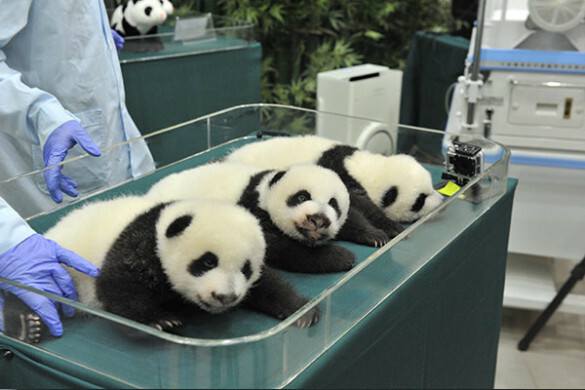 Hope you enjoyed our roundup of cute animal babies of 2013. Happy New Year! Today, August 10, is World Lion Day! Lions spend 16-20 hours of the day sleeping or resting. Female lions are the primary hunters of the pride. Lions can go 4-5 days without drinking by obtaining moisture from the stomach contents of their prey. Lions once roamed most of Africa and into parts of Asia and Europe. Now around 20,000-30,000 of these big cats live in sub-Saharan Africa, mostly in protected reserves. If you would like to help lions, there are several things you can do. 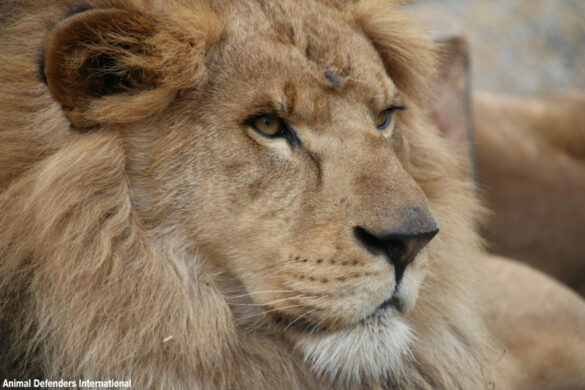 You can help save lions by writing a Letter to Lions that will be shared with African leaders. Share why lions are important to you and include a drawing if you like. You can also donate to charities like National Geographic’s Big Cat Initiative, Panthera’s Project Leonardo, or the African Wildlife Foundation. To learn more about lions, read our Lion Facts article. Space Farms Zoo and Museum in Sussex, New Jersey is the home of the newest member of a rare species of lion. The cub, Siren, was born 10 weeks ago. He is the fifth generation of Atlas lion to live at the zoo. Atlas lions, known for the black manes on the males, are extinct in the wild. There are fewer than 100 in zoos worldwide. To read more about Siren visit NJ.com. 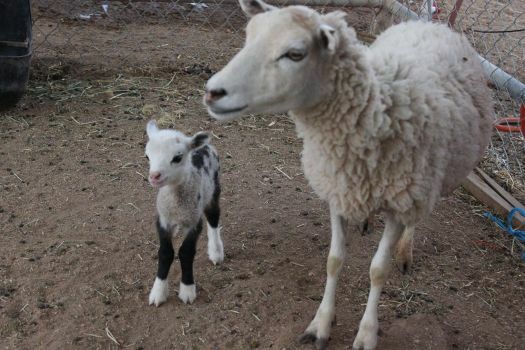 Visit the Space Farms Zoo.